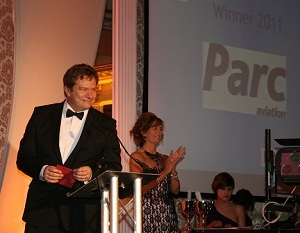 Agency of the year – Large Agency National Recruitment Federation 2011 Award winner is Parc Aviation. This award was sponsored by LinkedIN. This category portrayed all entries showcasing fantastic standards. Unfortunately a smaller selection had to be made based on the applications presented. The winner quite literally pipped at the post, but win they did, based on their demonstration of their industry leadership at interview that simply complimented their application. They have a clear vision of what is expected of them from the customer. They are focused on their business and the balance is spot on between the customer/candidates and their internal staff. Their commitment to meeting the expectations of their client was very evident which made them a very strong contender in this category. Best in Practice National Recruitment Federation 2011 Award winner for IT & Telecoms category is CPL. The Award was sponsored by Project House and presented by Les Cooke. This year saw a huge amount of entries to this category. The judges were blown away by the quality of the entries and found it extremely challenging to shortlist and declare a winner. There was but a marginal couple of points between the outright winner and the rest of the nominees. The winner stood out for the judges for their very strong business growth and development in recessionary times. They showed a commitment to delivering the best to both the candidates and the clients. Their submission proved they are very committed to the Industry and from an employees perspective how good they are to work for. Best in Practice National Recruitment Federation 2011 Award for Technical Engineering & Science went to Parc Aviation. This award was sponsored by JobsBoard.ie and presented by Jobs Board Managing Director Ivan Stojanovic. The judges said the submission from the winner of this category was a clear Road-map of their success. They have a very clear idea of what they are as a company hence the retention of staff and the repeat business from their clients. Their humanised approach and commitment and responsibility to their candidates are commendable.